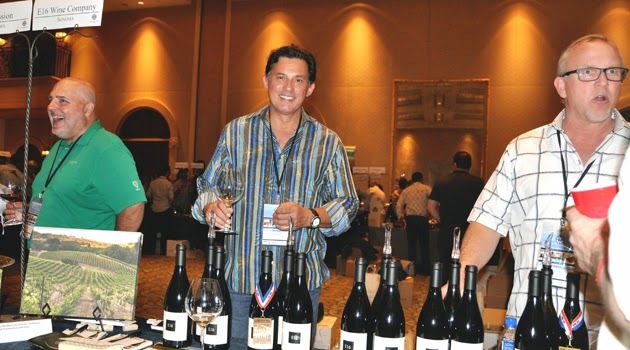 While I never feel like Warren Buffet when it comes to dollars, I do feel like him when it comes to the richness of Burgundian varietals every time I attend the World of Pinot Noir, which just held its 15th anniversary at the Bacara Resort & Spa in Santa Barbara. Talk about your wealth of riches -- there are over 200 wines to taste between two days, there's a media room (see that picture above) with the perimeter of the walls lined with bottles, and there are food-focused events (I previewed one about mushrooms and uni a few weeks ago). There's also a seminar featuring the renowned wine writer Jancis Robinson, who has authored so many books, including The Oxford Companion to Wine, that her bio she says she doesn't know the exact number (this fact might be the only thing she doesn't know).